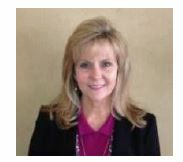 Home » News » EnerVision Welcomes Kathy H. Couper as a Lead Consultant! EnerVision, Inc. is pleased to announce that Kathy H. Couper has accepted the position of Lead Consultant effective May 1, 2019. Kathy will be rejoining the firm after practicing her skills in utility rates, pricing and finance with many clients and customers. She will be a familiar face to some clients and will also offer her excellent customer relationship skills to all while assisting in the areas of program development, pricing and rates. Kathy holds a Bachelor degree in Industrial and Systems Engineering from Georgia Institute of Technology and an MBA from Georgia State University. Prior to accepting this position, she served as a manager at Insight Sourcing Group, Energy Practice (ISG) where she delivered multi-faceted energy strategies, including renewable energy initiatives, including renewable energy initiatives and previously worked at Accenture as a category manager developing strategic energy plans, including rate incentives and rebates. Kathy started her career at Oglethorpe Power Corporation as an engineer working with wholesale and retail rates and economic development. Kathy will be a strong asset to the EnerVision team as she brings years of experience and expertise from working in the energy consulting industry. Her proven track record of success will be invaluable to both clients and the firm!